If you want a new and enhanced understanding of Virginia Woolf’s life and work, spend some time traveling through England — or other countries — in her footsteps. In June of 2004, I spent 10 days doing the England leg. And despite the fact that our time was limited and her favorite haunts had changed in the 63 years since she died, it was definitely a trip worth making. My 2004 jaunt was part of a graduate level course fittingly called England in the Steps of Virginia Woolf. It was offered by the University of Alabama at Huntsville, and it was taught by Dr. Rose Norman. Fifteen of us traveled from London to Kent to Sussex to Cornwall. All along the way, we carried the bible of Woolf travels — Virginia Woolf, Life and London: A Biography of Place by Jean Moorcroft Wilson. Her informative volume didn’t substitute for a map when we wandered down the wrong road, but it did provide plenty of insight and direction along the way. I used Jean’s book again when I spent a June day in 2016 “street haunting” in London with her husband — and Virginia and Leonard’s nephew — Cecil Woolf. You can read more about that and view photos as well. Woolf traveled to other countries as well. So when I visit countries she toured, I look for sites and sights she mentions in her diaries and letters. Monk’s House: Visit the National Trust Web page to learn more about Monk’s House and Woolf’s writing Lodge in Rodmell, Sussex. You can also view a video tour of the Virginia and Leonard Woolfs’ longtime home. When visiting Rodmell, Alice Lowe recommends staying at Deep Thatch Cottage. It’s just a few doors down from Monk’s House, she says, “and the accommodations are charming, comfortable and fully equipped.” You can also read more details about Alice’s adventures in Lewes and get details about other Lewes Bed & Breakfast Accommodations. Another Woolfian recommends The Ram Inn, in Firle (just around the tiny village lane from Little Talland House) as a beautiful place to stay. Charleston Farmhouse: Find out about touring Charleston Farmhouse, known as Bloomsbury in the country. This will be a highlight of your trip. Consider visiting Alfriston, a lovely village with an exceptional bookshop, Much Ado. When visiting Sussex, stop in at Berwick Church, decorated by Vanessa Bell, Duncan Grant, and Quentin and Angelica Bell. After Sussex sightseeing, you’ll need lunch. The Cricketers’ Arms provides a lovely country setting, along with excellent food. It was one of my favorite stops on our trip. And it’s within walking distance of the church. “Bohemian Rhapsody“: Stephen Cook retraces Virginia Woolf’s footsteps over the crest of the South Downs to Charleston. The Guardian, 9 October 1999. Knole: Vita Sackville-West’s family home, Knole, is located in Cranbrook, Kent. Sissinghurst: Also in Kent, the home of Vita and her husband Harold Nicholson from 1930 on, Sissinghurst Castle Garden should not be missed. Get instructions for taking the Sissinghurst walk. Take the interactive Sissinghurst tour. Cornwall: In St. Ives, Cornwall, where the Stephen family spent their summers until Virginia was 12 years old, you will find the family’s summer home, Talland House, and see Godrevy Lighthouse, featured in To the Lighthouse. See the map. Get information about accommodations. “In Search of Virginia Woolf’s Lost Eden in Cornwall,” by Ratha Tep, New York Times, Feb. 26, 2018. 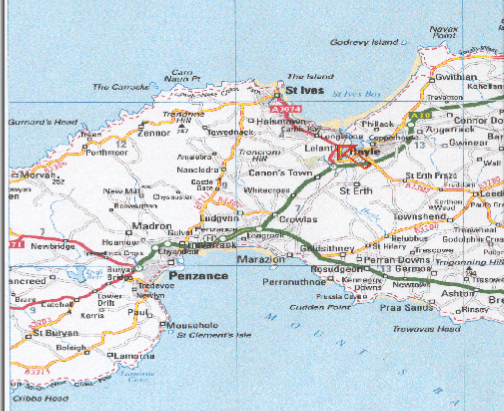 Advice from Katherine Hill-Miller: “But while you’re in St. Ives, be sure to take the walk to Tren Crom, which Virginia made many times with father and family. You can find the route in my book From the Lighthouse to Monk’s House: A Guide to Virginia Woolf’s Literary Landscapes (Duckworth, 2001). The best place to begin is at the Badger Inn, where Virginia spent Christmas in 1909. (It was then known as the Lelant Hotel.) The round trip will take several hours, but it’s worth it. Have fun!” Note: The Badger Inn is three miles from St. Ives. Go To St. Ives with the Such Friends Blog. Download an audio walking tour of the Bloomsbury Group’s London sites. 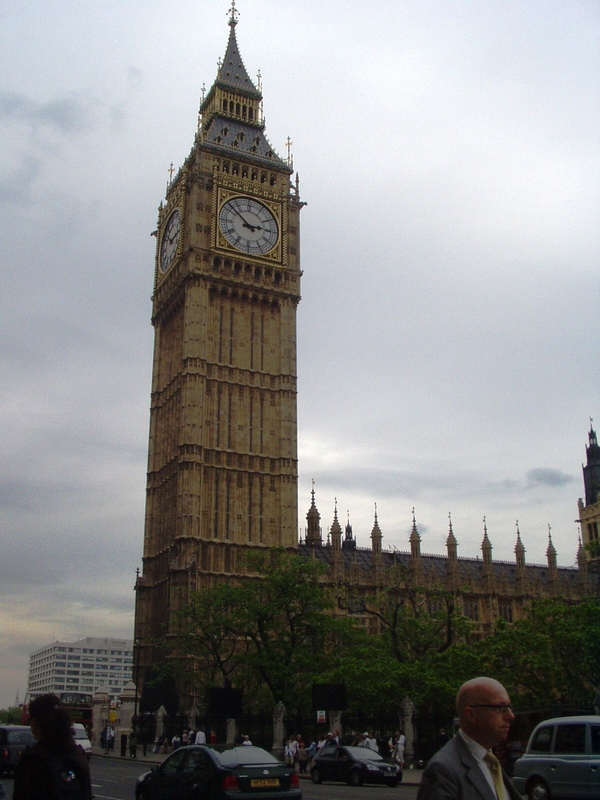 A walk called “Virginia Woolf’s London” is available as a group booking from Secret London Walks and Visits. Visit the Mrs. Dalloway Mapping Project for maps of Clarissa’s, Peter’s, and Rezia and Septimus’s walks. 22 Hyde Park Gate: Walk from the High Street Kensington tube station to see the outside of the Kensington home where Woolf was born. 24 Hyde Park Gate: Briefly the home of Woolf’s half–sister Stella Duckworth and husband John Waller Hills. 46 Gordon Square:Where Woolf and her siblings moved in 1904 after their father’s death. 29 Fitzroy Square: Where Woolf lived with brother Adrian in 1907 after Vanessa married Clive Bell and the couple took over 46 Gordon Square. 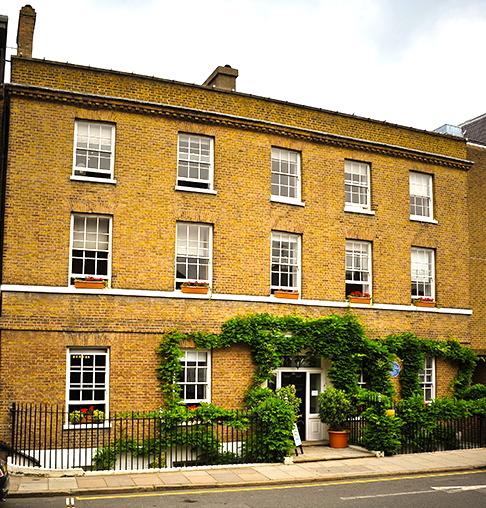 This is the only Bloomsbury home that bears a blue plaque with Woolf’s name. 47 Gordon Square: John Maynard Keynes and his wife Lydia Lopokova joined the first floor of this building with #46 to make more room for parties. 50 Gordon Square: Where Clive and Vanessa Bell lived, as did Adrian Stephen and his wife Karin Costelloe. 51 Gordon Square: Where Lytton Strachey lived for a time. Gordon Square: Various members of the Bloomsbury Group lived and worked at various addresses in the square. 52 Tavistock Square: Home of Virginia and Leonard Woolf and the Hogarth Press from 1924 to 1939, when the building was destroyed by German bombs. Site now partially occupied by the Tavistock Hotel. Visit nearby Tavistock Square to view the Virginia Woolf Society of Great Britain’s memorial bust of Virginia Woolf and a statue of Ghandi. Brunswick Square: House is no longer there, but you can see the site. 37 Mecklenburgh Square: The Woolfs’ very last London residence. The house is no longer there, but there are other similar houses still standing. Just for fun, consider dining at the Dalloway Terrace, inspired by the Bloomsbury Group, which opened in March 2016. Visit Maison Bertaux, the U.K.’s oldest pastry and tea shop, which Virginia Woolf and the Bloomsbury Group frequented. For more suggestions on where to stay, dine and shop, read “At Lunch with the Ghosts of Bloomsbury,” in the Dec. 18, 2015, issue of Saveur. Check out the luxurious Charlotte Street Hotel, decorated in a Bloomsbury Group theme. If an overnight stay doesn’t fit your plans, consider taking afternoon tea in the Oscar bar and restaurant or the hotel’s drawing room. A special Bloomsbury Tea is offered at £26, and you can book online. It’s available Monday to Friday, from noon to 6 p.m.
For Bloomsbury decor, visit Bloomsbury Interiors at The Courtauld Gallery. View the wax works Woolf at King’s College. Woolf scholar Elisa Kay Sparks documents the 12-day trip to England that she and the five students in her Creative Inquiry on Woolf and Place course took in May 2012 on her blog Blooming Woolf. Read a blogger’s experience on the July 2009 Charleston Trust walk “In the Footsteps of Virginia Woolf,” an eight-mile trek across the Downs from Monk’s House to Charleston. 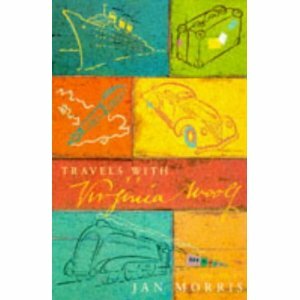 Read Jan Morris’ 1993 book Travels with Virginia Woolf. In it, Morris collects Woolf’s travel writing and adds commentary of her own after traveling along Woolf’s paths. Read Katherine Knorr’s 1994 review in the New York Times. Read Katherine Hill-Miller‘s book From the Lighthouse to Monk’s House: A Guide to Virginia Woolf’s Literary Landscapes (Duckworth, 2001). Take a look at a six-day itinerary on the Virginia Woolf Literary Tour page. 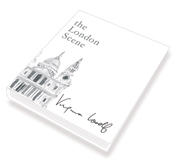 Enjoy Woolf’s own words about her favorite big city in The London Scene. Snowbooks published the illustrated hardback edition, complete with all six of Woolf’s original essays, in 2004. At first glance, Woolfians appear notoriously low-tech. But Todd Kuchta, assistant professor of English at Western Michigan University, brought a welcome high-tech element to the 17th Annual International Conference on Virginia Woolf. 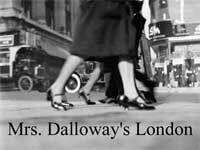 His conference presentation, “Teaching Mrs. Dalloway’s London in Virtual Reality,” showed off the virtual reality version of Woolf’s London that he created as a teaching and learning aid. 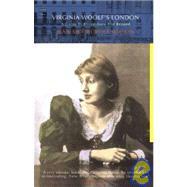 Students, teachers and common readers can follow Woolf through London on his site. Have been to most of them, but in June of 2004 I was on the ‘Such Friends’ tour of Ireland for the centenary of Bloomsbury and the Abbey Theatre. Me and two sweet little old ladies from Miami. Bright sunshine–even on the Aran Islands! Thanks to Ivona and Zehra for adding signposts along the Virginia Woolf trail! Just a two minute walk from Charleston Farm is Tilton House (now run as a spiritual retreat and well worth a go): this was the country home of the economist Maynard Keynes who along with his russian wife Lydia Lopokova was part of the Bloomsbury set. This website is wonderful, just what a Virginia Woolf fan needs! I’m often retracing Virginia Woolf’s steps here http://zehra-writing.blogspot.com/ and in fact I did the very thing yesterday in Richmond! 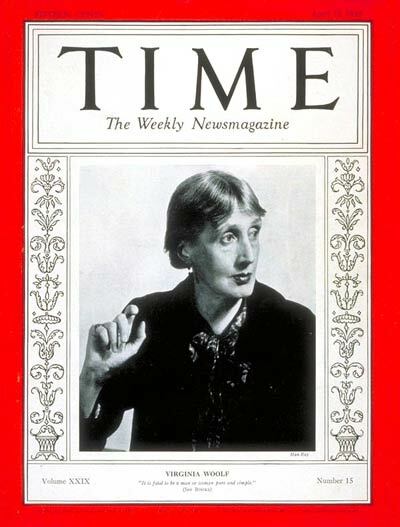 So thank you to all Woolf Writers, please keep us all up to date at all times! hmmm.. read in chunks? interesting suggestion! It is an excellent biography that is well-respected by Woolf scholars. And it is certainly one that I turn to regularly. I hope you enjoy it, although I admit it is best read in chunks. I am a Woolfian since i was fifteen years old. I am reading Hermoine Lee’s Biography… What is your opinion about it?